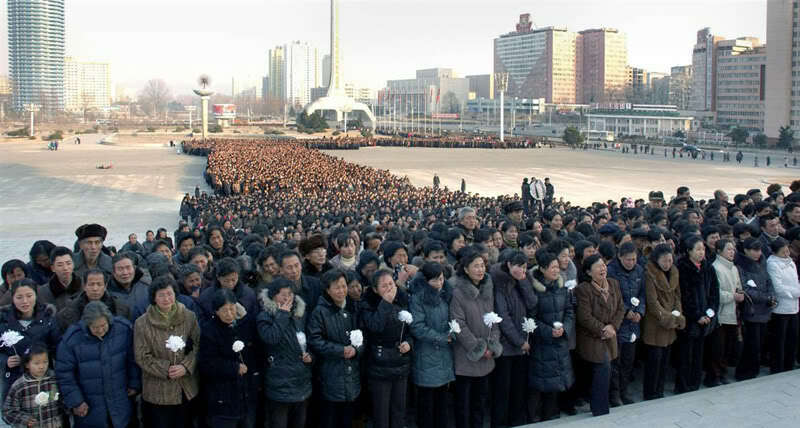 Pyongyang, North Korea: Tens of thousands of mourners packed Pyongyang's snowy main square yesterday to pay respects to late leader Kim Jong-il as North Korea tightened security in cities and won loyalty pledges from top generals for Kim's son and anointed heir. 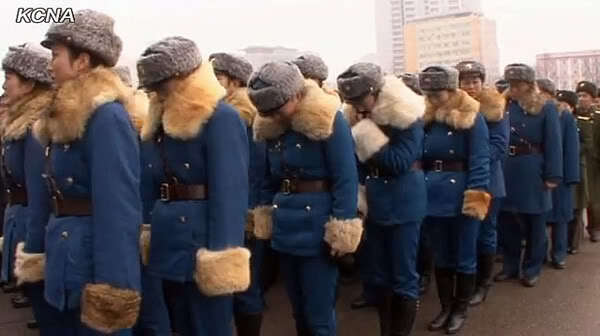 North Korean traffic officers pay their respects to the late leader in Pyongyang on Wednesday. 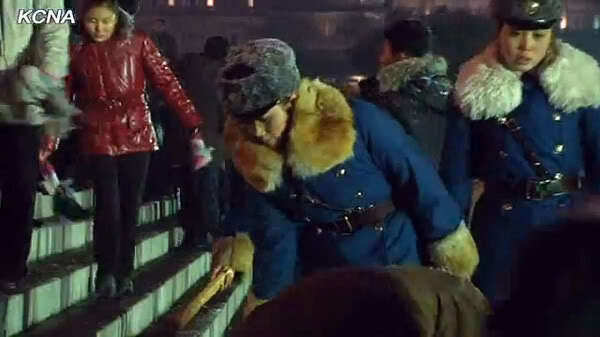 A female police officers directs traffic on the road while people wait to mourn the death of Kim Jong Il, top leader of the Democratic People’s Republic of Korea (DPRK), in the Kim Il Sung Square of Pyongyang, DPRK, Dec. 21, 2011. 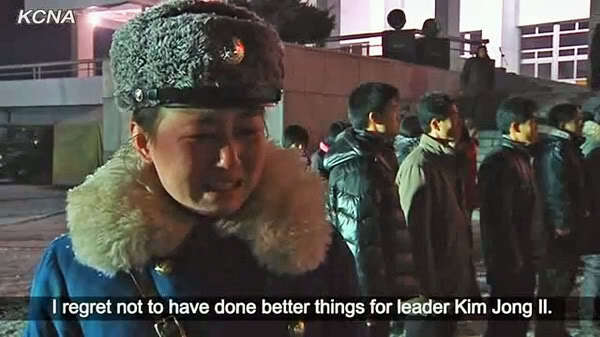 The state media has broadcast constant scenes of public mourning, with women and children wailing, soldiers bowing before Kim’s smiling portrait and senior officials lining up to view his body, which is on display in a glass case at the same funeral palace where his father’s embalmed remains are on view. 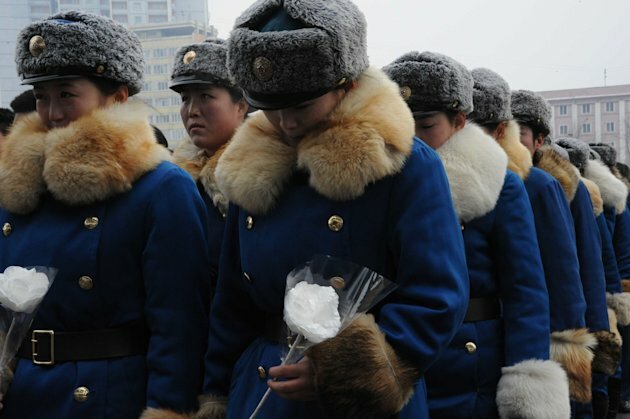 North Korea has also claimed Kim’s death generated a series of spectacular natural phenomena, creating a mysterious glow atop a revered mountain, cracking a sheet of ice on a lake with a loud roar and inspiring a crane to circle a statue of the nation’s founder before perching in a tree and drooping its head in sorrow. 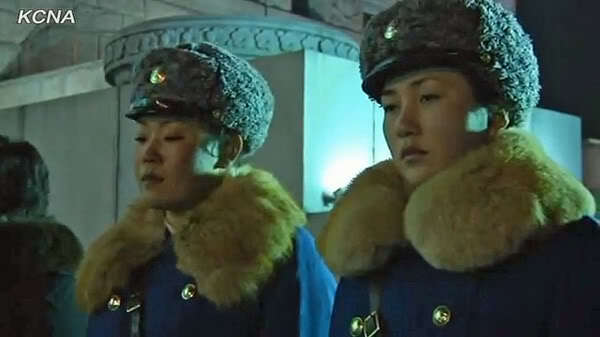 Reuters is reporting that the Pyongyang Traffic Girls are now on high alert during the period of regime transition. 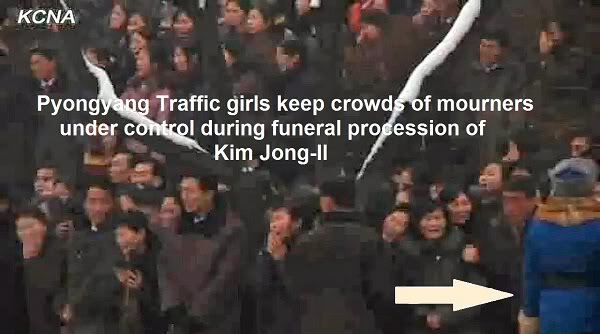 Floating traffic platforms have descended upon most major Pyongyang intersections in an effort to avoid widespread automotive panic. 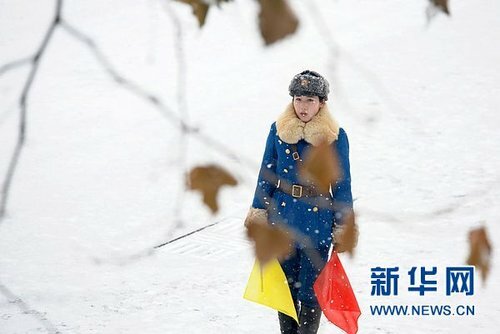 According to Traffic Major Sung Park of the Airborne Traffic Division, PTG “white socks” traffic warriors are prepared for the worst, including a few stalled cars at major intersections resulting from the usual wintertime gasoline rationing shortages. 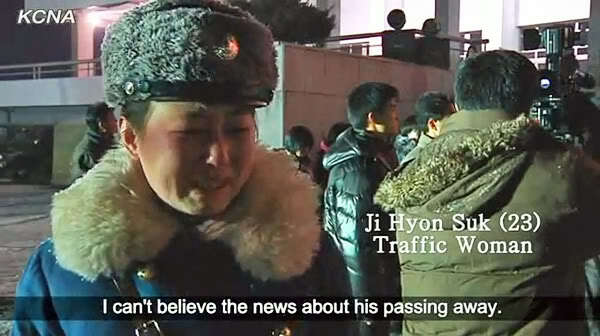 Sung Park advises motorists who find themselves stopped at a traffic point not to panic, but have a cigarette and wait patiently for the car ahead of them to move out. 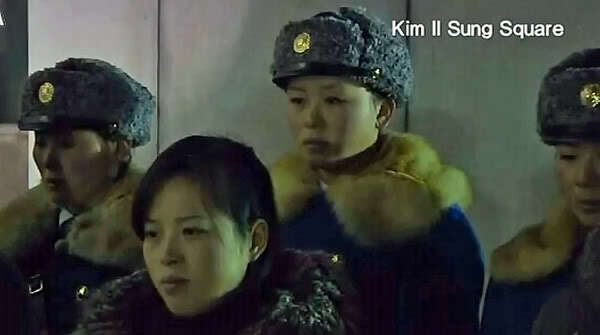 Order must and will be maintained, she stated. 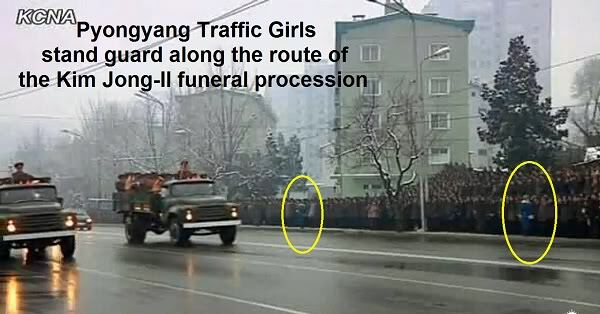 December 28 2011 - Funeral procession through Pyongyang streets - a few trafficgirls I spotted. 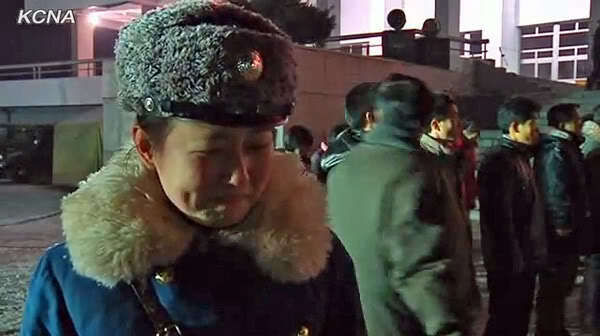 Aww they cry , very sad. 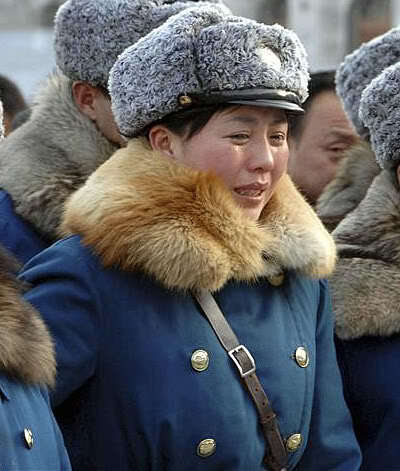 I like the fur uniforms.